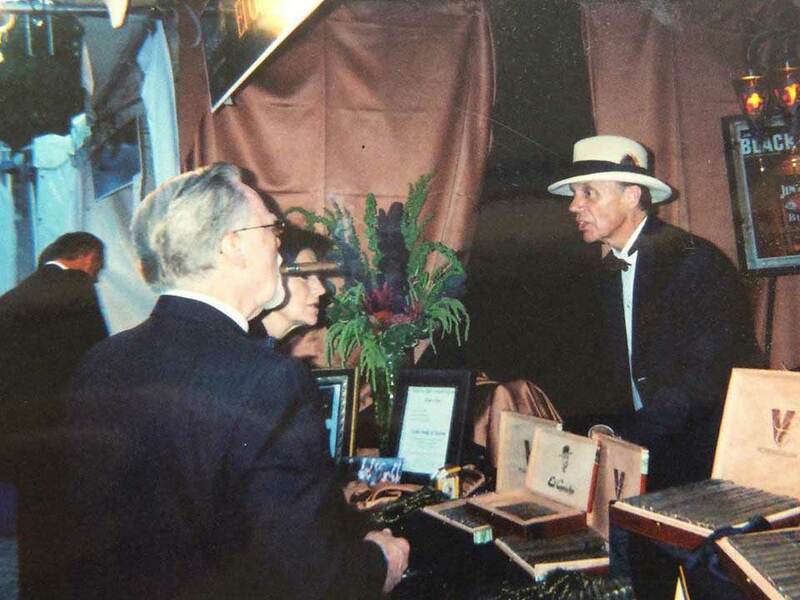 Victory Cigars began as a simple idea and quickly grew into the successful company it is today. As an avid cigar smoker, businessman Harold Nathan initially just wanted to have a few cigars with his company’s name on the label. Disappointed with the low quality of the cigars and bands avaiLabel at the time, he set out to produce a premium cigar with a professionally designed custom label. Seven years ago, a businessman and avid cigar smoker wanted some cigars with his company’s logo on the label. He was so appalled by the quality of the products available that he decided to create his own. Now, having your own personal cigar brand has never been so fashionable, and his business is off the wall. Product branding is a multi-billion dollar industry: creating brands, building them, winning market share, gaining shelf space, hiring big stars to promote them, earning customer loyalty. 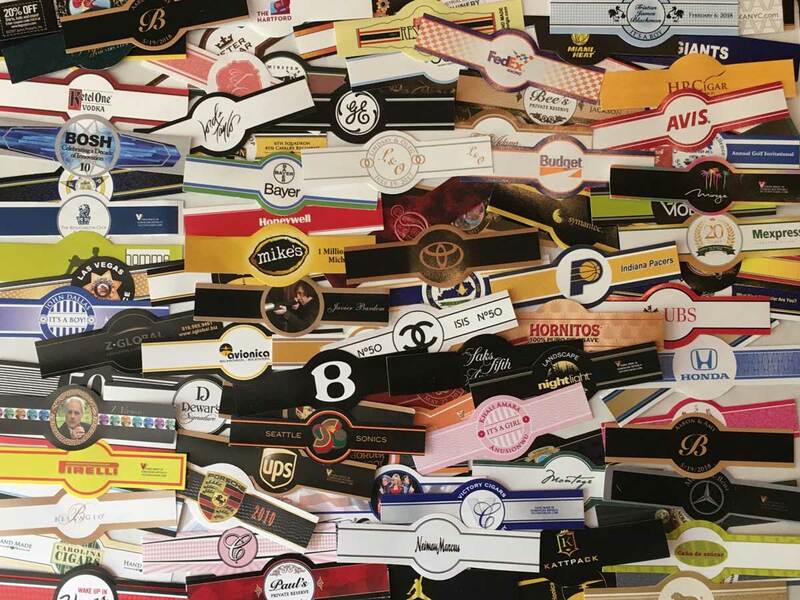 The cigar business is a lot smaller than the Nikes and Gatorades of the world, but at its heart, brands rule. Big companies wrangle over the legal rights to well-known cigar brands while small cigar makers covet their ancestor’s brands, or toil a lifetime to build their own from scratch. So why in the world would anyone want to build a business around a “non-brand?” In short, because there are thousands of reasons why people — from everyday folks to big stars — want cigars with their own label on them. The same reason why entrepreneur Harold Nathan, founder of Victory Cigars, wanted one. It’s a cool idea…but only if it’s done right. As simple as that sounds, getting a good-looking custom band on a good cigar — one he wouldn’t be embarrassed to hand out — wasn’t an easy task when he first looked itno it seven years ago. The samples he received from the leading suppliers at the time didn’t impress him. “The bands were terrible at best,” he recalls. “You could only get one color. You couldn’t put your logo on it — only your name.” The cigars themselves were largely an insult — most were short filler, and the worst ones he saw even has worm holes in them. “I thought, maybe there are other guys out there, like myself, who might want to put their company logo on a quality cigar with a quality band. That was my whole concept in the beginning,” explains Nathan. He had no intentions of building a burgeoning business that would see sales in dollars soar by 1000% since 1998. It just sort of worked out that way. One of Nathan’s first attempts at marketing his concept was in 1997, when his hometown Seattle Mariners won an American League division title. “I went to see them and they bought 100 boxes, of which the first ten went to Ken Griffey, Jr,” who was then playing for Seattle, Nathan recalls. Next, it was on to the Pacific Northwest’s premier cigar bar, El Gaucho, where Nathan landed the ritzy steak house and cigar lounge, supplying them their own house brand cigar. “From then on it started catapulting,” says Nathan, whose defining moment came when he made the leap from running small regional ads on a shoestring budget to placing national ads. At first it appeared to be the worst mistake in the world. “After two or three weeks, I thought, ‘Oh Lord, I put all this money into advertising and I was wrong.’ I really did. I thought, ‘OK, at least I know I was wrong’ and I could go start another business doing something else.” Then, all of a sudden the phones started ringing, and they haven’t stopped since. Nathan is an avid collector of vintage cigars who enjoys dipping into his stash of Cuban Montecristo A’s or Punch Double Coronas, but as often as not can be found smoking his own Victory Cigar vintage box press maduro. He’s equally at ease talking shop with cigar connoisseurs as he is patiently guiding a novice or neophyte who needs to order a gift for a husband or boss’s friend, and has handled nearly every custom label cigar order himself over the past seven years. He’s created cigars for rock stars, sports legends, CEO’s, newlyweds, grooms-to-be, chefs, proud new parents. You name it. Nathan admits he’s probably forgotten more clients than he remembers — there have been some 5,000 to date — but that doesn’t stop him from trying. “Gary Payton. Lone Star. Lil’ Kim. Steve Harvey. The 82nd Airborne…” he offers as he scours his memory. To solve the problem of poor quality bands, Nathan invested in a massive nine-foot color laser printer that creates the precise printing one expects when staring close-up at your cigar band. A graphic designer creates each label, incorporating logos, graphics — basically anthing you want…within reason, of course. The shaped labels are professionally die-cut on his own press. The cigars themselves are produced in the Dominican Republic, a very flavorful but mild-to-medium strength blend that Nathan selected to please even the occasional cigar smoker. Calling an order in to Nathan by phone is more like a personal consultation; customers are guided to the most appropriate size and — depending upon the intended audience for the cigars — either a premium long filler cigar if they’re intended for someone’s best customers, or a more affordable medium filler blend that’s ideal for occasional smokers. Corona Gorda is Victory’s most popular shape, but corona, robusto and Churchill sizes are also available. A setup charge of $65 covers the costs of 100 cigar bands; boxes of 25 cigars start at $60 each. “I knew that these cigars were going to events where people only smoked one cigar a year, and when you hear that the cigar was great, then you know that you did your job,” says Nathan. Victory keeps an inventory of 125,000 cigars aging at the factory at any given time, for a minimum of 90 days. “If two people come in and order 10,000 or 15,000 cigars apiece, you have to be ready to provide them,” notes Nathan. Typically orders average about two to three boxes, and the minimum order is just a single box — making this personal luxury accessible to anyone. As an added perk, on orders over 50 boxes, each spanish cedar box is personalized with a modified version of the label art. The longer Nathan thinks about it, the more clients come to mind. “Johnson & Johnson, UPS, FedEx, Pizza Hut, American Express,” he offers, rattling off just a few examples of the corporations, wineries, restaurants, hotels, private clubs, charities, and events that have tapped his services over the years. One of the surest signs of success has been the frequent reorders among existing customers. But perhaps the most fun to be had is with the regular guys who want to feel important or hand out a great memento at a bachelor party, graduation, birthday party, wedding, or such. Even though Nathan has dealt with thousands of customers, it always thrills him when a new one discovers the mystique of seeing their own label on a cigar. Nathan recalls one customer who gave custom label cigars to her boyfriend, who told her, “That was the nicest present anyone has ever given me in my life.” It’s easy to take what he does for granted, Nathan notes, but to each customer, the experience is brand new. Summer heat is quickly giving way to fall breezes, and the era of quality and consistency from the purveyors of premium cigars continues apace – at least judging by the high scores awarded by the overwhelming majority of Smoke’s Cigar Review panelists (Special props to our online contest winners, Michael Guttman, Ben Maphis, and Rocco Yiu). The bar was set high once again, with a majority of entrants scoring at least a 4.0, or excellent, on our rigorous 5-point scale. Even when one of the tasters of any given cigar was underwhelmed by its attributes, the other three invariably had a higher opinion of them, sometimes much higher. And if one panelist thought a cigar was absolute perfection (rare, but it occurred in several cases in this particular Review), the other three brought it down to Earth with slightly more critical appraisals. Thus, the numerical field is fairly narrow. How then to decide which cigars are truly the best for you? Simple, really. Numbers, while a good shorthand way to denote quality, have never been Smoke’s forté. That’s why we publish the most in-depth commentary available on premium cigars, rather than a couple of lines and a number. We feel that each consumer is entitled to get the full, unbiased picture of a cigar from a variety of sources, and make up his or her own mind. Sometimes the cigar that gets the highest rating may still not be your style, based on the description (Some smokers, after all, may simply not care for certain wrappers, sizes, shapes, or even types of tobacco). Sometimes you may see a cigar that receives a more middle-of-the-road score, but upon reading the comments, you realize it’s exactly what you’re looking for (especially if, as in many cases, value for the price is a consideration). Of course, as folks who love trying new smokes, we hope readers are willing to put aside preconceived notions to expand their horizons – and we certainly think that our highest scoring entrants this issue – especially the Camacho Corojo Monarca and La Aurora Cien Años, both pulling down an impressive 4.6 – are great smokes worthy of the honor. Bottom line is that we’re not here to tell you what to spend your money on; we’re here to help you become a more informed, educated cigar consumer. After all, you’re the reason that so many cigars are so much better than they were just a few years ago. One of the fastest growing brands in the cigar business isn’t a brand at all, but rather Victory Cigar’s custom banding business which has racked up thousands of highly satisfied customers. For cigar shops, there are significant opportunities to put custom label cigars to work for them. When Harold Nathan, an avid cigar smoker and collector, tried to buy some cigars with his company’s logo on the band to use as gifts back in 1997, the exercise left him thoroughly underwhelmed. Having tried several different sources that supplied cigars with personalized bands, Nathan found the results to be dismal. The quality of the bands was “terrible at best,” usually just a single color, and no one could reproduce his company’s logo on the band – or any other artwork for that matter. Even worse, most of the cigars were seconds, over runs, or short filler. Some were simply unsmokable. The market for personalized cigars was little more than a novelty with no follow through, it seemed. And no premium cigar smoker – much less connoisseur – would ever hand these smokes out to a fellow cigar enthusiast, Nathan concluded. Unable to find a quality cigar with a quality, custom-made label, he began to speculate that there were probably others out also searching for the same thing. His initial hunch, he would come to learn in time, was an understatement. But when he sold 100 boxes to the Seattle Mariners following their 1997 American League West championship (the first 10 boxes went to the former Seattle slugger Ken Griffey, Jr.) and then signed up, El Goucho, the Pacific northwest’s premier cigar bar, supplying their own house brand, things began to heat up. To help draw customers to the fledgling business, Nathan pieced together a promotional budget and tried placing his first ad in a small commuter airline magazine, because “that’s all I could afford,” he recalls. The response was positive. By 2000, Nathan decided to take a big leap into national advertising, a considerable expense and a much bigger gamble. Expecting a deluge of calls, he quickly became nervous when absolutely nothing materialized in the weeks that followed. “I thought, ‘Oh, at least I know I was wrong,’ and I could go start another business doing something else, because that’s my nature.” Ready to plan a hasty retreat from the project entirely, the letdown proved to be short-lived. “All of a sudden the phones started ringing and ringing, and they haven’t stopped since,” says Nathan, who quit everything else he was doing to dedicate his efforts entirely to the burgeoning new business. Victory Cigars was up and running. Today, Victory Cigar’s web site gets over 100,000 hits per week, about double the traffic it saw only a year ago. Print ads for the company’s custom label services are seen in 650,000 hotel rooms nationwide and by as many as 50 million travelers on airlines through in-flight magazines, which has been a cornerstone of the company’s advertising efforts since the beginning. Last year, Victory’s sales were up 50 percent over the previous year, and were up 486 percent since 2001. This past holiday season, the company was adding over 50 to 100 new accounts per day. Already, through February of this year, sales are up another 53.7% over 2004. Having consistently increased his advertising to include more and more magazines, Nathan has successfully built a base of over 7,000 customers, from private individuals to corporations, organizations, and – increasingly – even smoke shops, although retail stores hadn’t traditionally been a part of his business. Not every retailer finds the economics to their liking, Nathan acknowledges, but he’s convinced there is sufficient room for stores to earn a profit servicing such establishments. “I have venues that will take a cigar that I sell to them and mark it up to three to four times,” says Nathan. “You don’t want it to get out of hand, but I think it should be an option,” he adds. As he sees it, somebody’s going to get the business, and it might as well be a local shop with a vested interest. In 2000, Nathan became a part owner in a cigar factory in Tamboril, Dominican Republic, to ensure he had a reliable and consistent source of quality cigars. In fact, the blend used in Victory’s cigars has remained unchanged for the past eight years, although the number of sizes has increased. Today, there are 21 workers at the factory dedicated exclusively to Victory Cigar products. To cater to customer’s different needs, Victory offers either medium filler or long filler cigars in Corona, Corona Gorda, and Robusto sizes, as well as a long filler Churchill. In addition to a $65 setup fee, prices range from $60 – $75 per box for the medium filler cigars, and from $99.75 – $119.75 for the long filler sticks. All cigars are cello-wrapped, and packed in 25-count Spanish cedar boxes. These seven cigars are the core of Victory’s custom label business. The cigars themselves are medium bodied, a blend of Cubano Piloto and Olor Dominicano filler with a Dominican binder (Cuban Seed for the Churchill). The wrapper is an oily, top-grade Sumatra leaf that resembles Cameroon. Victory keeps about 125,000 sticks in inventory all the time. “We have customers from all walks of life,” notes Nathan. “It’s amazing to me that some people think our products are expensive and others think they’re a deal. You can’t please all of the people.” Still, Nathan would challenge anyone to find another custom label cigar of equal quality and presentation at any price. Victory has recently expanded its cigar selection with new additions at either end of its price range. Its Corona and Corona Gorda medium filler cigars are also offered in 20-count bundles, rather than cedar boxes, at $41.50 and $46.50 respectively, while two flavored cigars have been added in corona sizes – rum and vanilla, at $80 per box of 25 cigars. A new limited edition box-pressed maduro has also been added, taking its place as Victory’s top-of-the-line offering. It’s rolled from five-year-aged, Cuban-seed Dominican filler; Dominican binder; and an oily, Brazilian, sun-grown wrapper. The cigars have been aged a full three years, and the branded version received an “Excellent” rating last year in Smoke magazine . Prices range from $125 to $150 per box of 20. Backing up his quest for a top-quality product, Nathan has made a point in investing in technology over the years, which today includes a nine-foot-long, $250,000 color laser printer that can print even the tiniest lettering legibly on cigar bands. A separate die-cutting machine cuts out the individual bands in a single step. The machines work in batches of 21 bands on a single, standard-sized sheet of paper. A full-time professional graphic artist works with customers to create an original design from scratch, or modify any one of numerous examples posted on the company’s website. Victory can incorporate a customer’s artwork – logos, photos, anything at all – and help create a band that’s precisely what they want. “The customer is always right even if they’re wrong,” says Nathan. “Who are we to judge? If it looks great to the customer, it looks great to me. I’m going to advise them but I’m never going to correct them.” Some clients also use their own designers and provide artwork that is fully completed. While the average order is between two and three boxes, Victory offers discounts and other incentives for purchasing in larger quantities. On orders of 50 or more boxes of cigars, the company will die-stamp the customer’s logo on the outside and inside lid of the box – the exact same process used by commercial brands. “We’re one of the few factories, in the Dominican Republic, that has a box factory on premise,” notes Nathan. “That’s how we can print 50 boxes with somebody’s logo on them.” Victory also provides free, climate-controlled storage for the boxes, since many clients aren’t able to take delivery of that many at once. Every order, regardless of size, comes with a free cigar cutter. But perhaps the biggest reward is the non-stop flow of customer thank you’s that are emailed, faxed, and phoned in, at least three to five times per week. Hearing glowing reports of how a customer’s expectations were exceeded, truly makes the work fun. In recent years cigar smoking has regained its place as a necessary accompaniment to socializing, carousing, and of course celebrating; and taking their place right beside it is the Seattle based company, Victory Cigars. 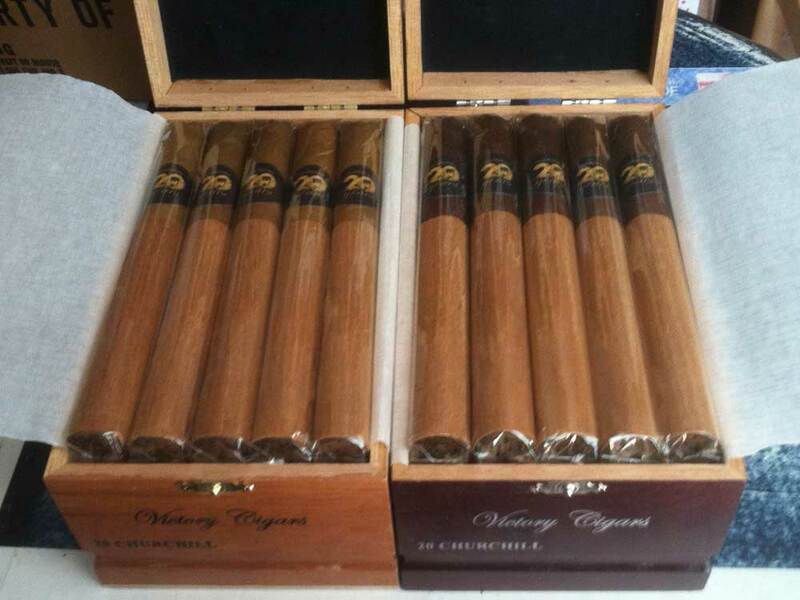 Opened in 1997, Victory Cigars has quickly become the premier source for custom labeled, hand made cigars. And what better way for the groom to celebrate his big day than to share a premium private label cigar in style with his closest friends? Victory Cigars is able to personalize your order by reproducing most any picture, slogan, or emblem with their custom labeling, and delivers each order of 25 in a Spanish cedar cigar box. So what does this mean to the novice cigar smoker? It means a smoking experience that is described as having “a solid, thick flavor; the aftertaste is creamy and spicy and doesn’t fade too quickly. It’s a bit dry yet sweet…and the aroma lets you know that you are enjoying a premium cigar.” These cigars tend to burn evenly, and the draw is always perfect; making it enjoyable for connoisseurs and beginners alike. Cutting – Hold the cigar at eye level to ensure that you are cutting in a straight line. Place the head of the cigar into the cutter, taking care not to cut into the shoulder (where the cap meets the body of the cigar), as this will cause the cigar to unravel. Use constant quick pressure to cut off the end withough crushing the cigar. Lighting – To light your cigar you need the correct lighter. Some cigar buffs use cedar strips, called spills, but most people use matches or a lighter. If you prefer a lighter be sure to use butane so as not to affect the cigar’s taste. When you are ready to light your cigar, be sure that the flame does not touch the cigar. Direct contact with the flame can flavor the cigar with residue from the match or lighter. Instead, hold the cigar above the flame and rotate it slightly to char the foot. Then, place the cigar in your mouth and continue to light as you rotate the cigar, gently puffing every few seconds. Once the cigar is lit, remove it from your mouth and check the foot to make sure it is burning evenly. If it isn’t, blow gently on the foot to ignite the tobacco which is not burning. Smoking – If your cigar starts to burn hot while smoking, gently blow through it to blow out all of the smoke. Then, simply set the cigar down for a minute, wait, then smoke as usual. If one area is burning faster than others, simply wet your finger and apply it beneath the quick burning area to slow it down.